All practitioners at Milwaukee Community Acupuncture hold a Masters of Science in Traditional Oriental Medicine, state of Wisconsin acupuncture license, and are Board Certified in Acupuncture and Chinese Herbology by the National Certification Commision for Acupuncture. Amy graduated from Pacific College of Oriental Medicine in 2006 and opened a private practice called Luma Acupuncture. In 2007, she went to Hangzhou, China to do advanced acupuncture studies. While there, she was impressed with the affordability of acupuncture treatments and how frequently people could get treatment. She realized that most people couldn’t afford the expensive private room treatment fees she was charging at her private practice, and didn't come in often enough to truly feel better. She began devising ways to modify her treatment model to allow people to better afford to get regular treatments. In 2009, Amy realized this goal when she co-­founded Milwaukee Community Acupuncture with her colleague and friend Olivia Crane. Since opening, Amy has seen first-hand how the community clinic model makes it possible for community members to realize the benefits of affordable long term acupuncture treatment plans. Amy is an active member of POCA, the People’s Organization of Community Acupuncture. She sits on POCA’s events circle, planning upcoming continuing education seminars. Olive was inspired to study acupuncture because of her own positive experiences with acupuncture treatment. After studying at the Pacific College of Oriental Medicine in Chicago, Olive had the opportunity to briefly study acupuncture in Beijing, China. She was impressed with the easy access and affordability of acupuncture and herbs there. Upon her return Olive moved to Milwaukee and co-founded Milwaukee Community Acupuncture with her colleague and friend, Amy Severinson. She believes that everyone should have access to quality healthcare and found that the community acupuncture model is the best way to achieve this. Olive especially enjoys the inclusivity and group dynamic of community acupuncture. Dealing with pain, trauma and/or health conditions can be so isolating and she has seen first hand the therapeutic benefit of coming together with others to heal. Olive also volunteers for the People’s Organization of Community Acupuncture (POCA.) She has worked with the legislative circle and is currently working with POCA’s newly formed ear acupuncture circle on increasing awareness and access to ear acupuncture. Susan graduated from the San Diego campus of Pacific College of Oriental Medicine in 2005. Soon after she moved back to Wisconsin and opened a private practice in Glendale. After working alone for five years she realized she missed working with other acupuncturists. During school Susan had worked on community style clinic shifts and had always enjoyed the group setting. She also has always valued affordable healthcare and had been doing volunteer acupuncture at CORE El Centro since moving back to Milwaukee and prior to that had volunteered in New Orleans after Katrina doing acupuncture in a group setting for flood victims and first responders. Both of these experiences showed her the power or group treatments. She saw that Milwaukee Community Acupuncture was hiring and decided it might be the right fit. Upon meeting Amy and Olive and seeing the space she knew she had found what she was looking for. For a few years she had the opportunity to work both in private practice and community style acupuncture simultaneously. This gave her a unique perspective on the pros and cons of both. In 2013 Susan decided to close her private practice and work full time at MCA. Being able to work in an environment where patients are able to afford the amount of treatments they need to get better while still being able to provide quality care is her favorite part of working at MCA. Anna learned about acupuncture and its benefits while completing her undergraduate studies at UW Milwaukee in Microbiology and Ceramic Art. She earned her Masters of Science in Traditional Chinese Medicine from the Midwest College of Oriental Medicine in Racine, WI in 2006. Anna enjoys all aspects of practicing acupuncture, particularly how it combines tranquility and healthy growth. 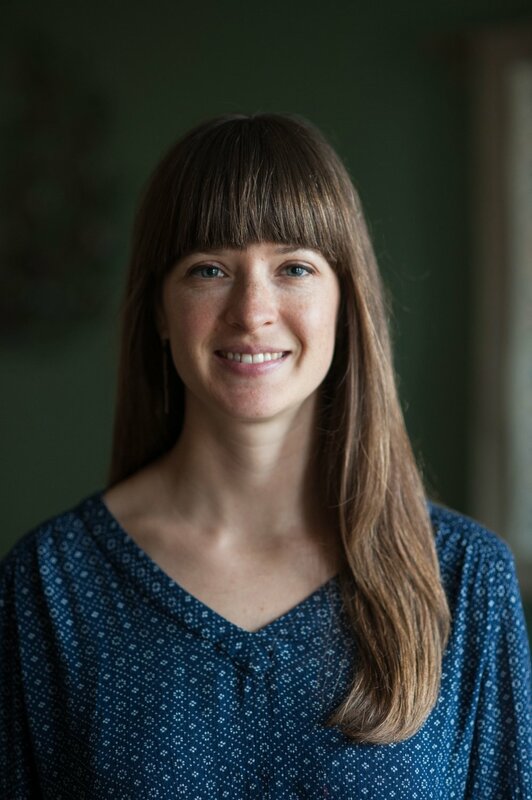 In 2011, Anna had an opportunity to work as a substitute acupuncturist in a community acupuncture clinic in Racine and since then has been devoted to the concept of practicing acupuncture in a communal and approachable setting. 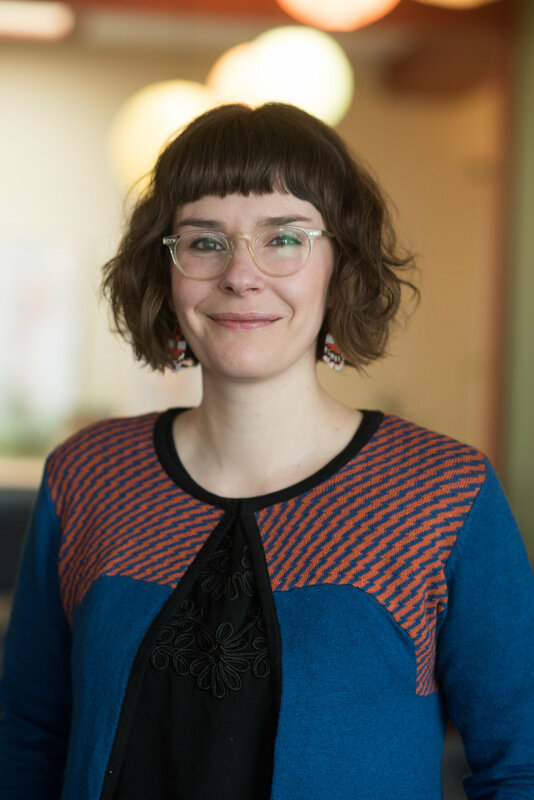 Anna believes strongly that healthcare should be affordable and accessible, and finds that community acupuncture is a perfect fit for these goals. In 2012, she was thrilled to join the dedicated team of practitioners at the Milwaukee Community Acupuncture Clinic. Megan first experienced the benefits of acupuncture as a patient. After experiencing severe migraines for years and being unsatisfied with the relief provided by traditional western medicine, Megan found that her condition improved dramatically with acupuncture. Not long after Megan learned that Chinese Medicine could help control her migraines, she began pursuing her master’s degree in Traditional Oriental Medicine at Pacific College of Oriental Medicine in Chicago. Before she graduated in 2014, Megan interned at the Chicago Women’s Health Center and Wellspring Acupuncture in Evanston, IL, which exposed her to a variety of Chinese medical treatment models. Community-style acupuncture appealed to Megan because of her desire to help patients from all walks of life access the most appropriate care for their condition. Heather likes to think that acupuncture found her. She received her first treatment, one for depression, while touring Midwest College of Oriental Medicine as a prospective student. That first treatment started her career in Chinese Medicine. While in school, Heather worked in the free (then low-cost) off-campus clinic. One of the best things about the clinic was the ability to make regular acupuncture accessible to people from all walks of life. Heather graduated with a Masters Degree in Oriental Medicine from Midwest College of Oriental Medicine in Racine, WI in 2013. Upon receiving her license to practice in Wisconsin, she started a private clinic. Heather realized that the way she was trying to run her clinic was not making acupuncture accessible to a large number of people due to the costs. She realized that she wanted to help as many people as she could to receive quality care on a regular basis. That realization brought her to community acupuncture and Milwaukee Community Acupuncture. Heather is excited to be able to help as many people as possible facilitate their healing at MCA. Sonia is one of the few bilingual acupuncturists in the state of Wisconsin, with Spanish being her first language. Sonia earned a Master of Science in Traditional Chinese Medicine (TCM) from the Midwest College of Oriental Medicine. She decided to practice acupuncture with the goal of helping individuals improve their quality of life in a natural and holistic way. In 2016, she traveled to China to attend an advanced TCM course at the Guangzhou University of TCM. While in China she experienced how physicians combine Eastern and Western medical therapies in treating patients with chronic conditions. This experience helped Sonia see patients recovering faster and managing their symptoms better with the use of both, Eastern and Western therapies. Sonia believes that community acupuncture provides affordable care giving individuals an opportunity to heal, recover and experience wellness.